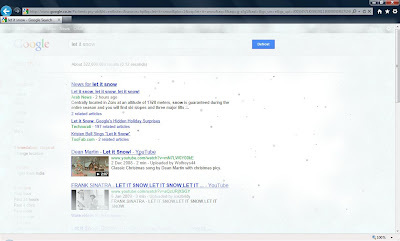 Today I just got tweet that google has come with new hidden trick knows as "Easter Eggs" for Christmas. 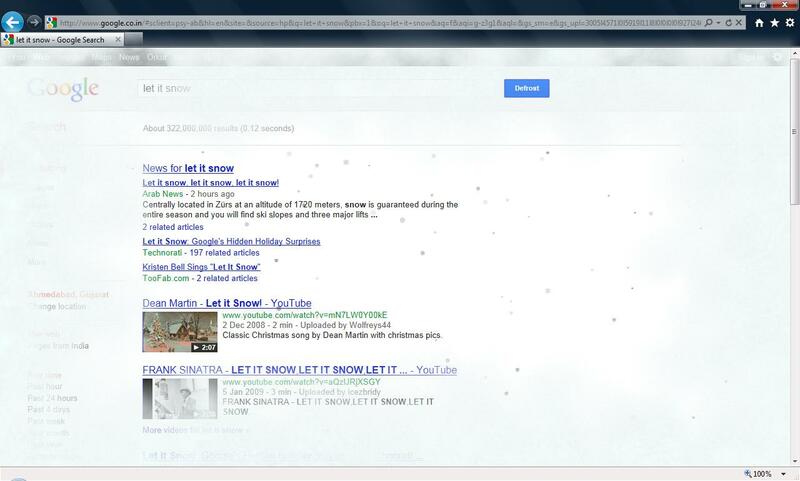 Your screen will be filled with white snows with Deforest button. When you click Deforest it will clear your screen.